The National Institute of Allergy and Infectious Diseases (NIAID) is soliciting study proposals to evaluate candidate cellular therapies to treat radiation-induced injuries in appropriate in vivo models when administered 24 hours or more following exposure to radiation. The research should be aimed toward the eventual approval of candidate cellular therapies under the United States Food and Drug Administration (FDA) Animal Rule licensure pathway. 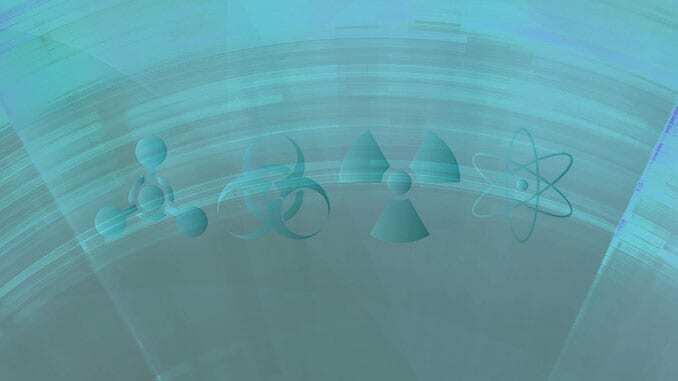 Since 2005, NIAID has been funding research to develop medical products to diagnose and treat acute and delayed radiation injuries resulting from a large-scale, radiological or nuclear incident. NIAID’s Radiation and Nuclear Countermeasures Program (RNCP) has been tasked to fund the research and development of medical countermeasures (MCMs) to mitigate and treat acute radiation syndrome (ARS) and delayed effects of acute radiation exposure (DEARE). In 2015, two previously approved drugs were granted label extension by the FDA to treat hematopoietic complications of ARS. The label extension approved for both drugs was to “increase survival in patients acutely exposed to myelosuppressive doses of radiation.” Both Neupogen® and Neulasta® (Amgen) were granted this new indication, and in doing so, have enabled their formal procurement for the United States Strategic National Stockpile, without the need for an Emergency Use Authorization for their deployment and use. To date, no cellular therapies are FDA-approved for the treatment of ARS/DEARE; however, these approaches have been successfully used on an experimental basis to treat radiation damage – especially skin injuries – sustained during radiological industrial and medical accidents. The routine clinical use of cellular therapies for the treatment of certain disease states has provided some important clinical evidence of their potential use during a mass casualty radiation incident. Perhaps best known is the use of stem cell transplants for the treatment of cancer and other disease states such as anemias, congenital dysfunctions and immunodeficiencies that affect the bone marrow. The stem cells administered in these therapies are often bone marrow- (autologous or allogeneic) or cord blood-derived after radiation and/or high dose chemotherapy regimens. Both stem cells and committed progenitor cells can be derived from different tissues (bone marrow, placenta, adipose, cord and peripheral blood). Other sources of cells with potential utility in the treatment of radiation injuries include endothelial cells and other stromal elements such as mesenchymal stem cells. Cell therapies could be used to treat radiation injuries in different tissues, including but not limited to the bone marrow, gastrointestinal tract, skin, lung, and cardiovascular system. In order to understand the impact that a particular cell type could have on the amelioration of radiation injury, it is important to characterize the nature of the cell to be transplanted. Routes of administration; e.g. intravenous, subcutaneous, intramuscular, or topical delivery. Early to mid-stage research and preclinical development of cell-based therapies to treat injuries to different organ systems. Characterization of cells to be transplanted, changes in signal transduction, inflammatory responses, innate and acquired immune responses as well as interactions with host cells, and predictors of transplantation outcome in in vitro or in vivo models. Establishment of endpoints applicable to human studies; e.g. prevention of major morbidities or increased survival for the appropriate model system in use; medical management approach connected to this cellular therapy. Fate of the transplanted cellular product following delivery, cell function, and/or host response after administration of the cellular product. This is a U01 Research Project. Further details are available via Funding Opportunity Announcement Number RFA-AI-17-001. Letters of Intent are due July 1, 2017.